Since the introduction of Buddhism intoVietnam, Buddhist teachings are not only for monks and nuns, but also for the society as a whole including the majority of men and women of every class of life. Actually, the first Buddhist work still extant in Vietnam written by Mâu Tử about the year 198 A.D. under the name Lý hoặc luận (Righting the wrong) states clearly what role Buddhism can play in any society, especially the society of Vietnam of Mâu Tử’s time: “The Buddhist way, when applied to the family is for: serving the parents; when applied to the nation is for: helping the people; when applied to one’s own life is for: perfection of oneself” (道之為物 居家可以事親 宰國可以治民 獨立可以治身 Đạo chi vi vật, cư gia khả dĩ sự thân, tể quốc khả dĩ trị dân, độc lập khả dĩ trị thân). So, from a very early period in Vietnam history, Buddhism already put out a theory of good governance and development and showed a strong interest in the application of that theory. In this paper, we wish to present three case studies of this application in the history of Vietnam. In this poem, Pháp Thuận discusses war and peace and the method for stopping war, enabling peace to be maintained – forever in Vietnam. These are the words that the Vietnamese people of Pháp Thuận’s time aspired towards and fervently desired to be present in their country after the resistance war for national independence in 939 A.D., and during the war between the warlords from 944 to 968. The key issue here is how to stop war and bring peace to the people and the Nation’s destiny depends upon the answer to that question. In Pháp Thuận’s views, for the war to be stopped, the first and foremost requirement is to have “no-action staying in the palace”. What does the word no-action in this context mean? In Buddhist terminology, the Chinese word no-action (wu wei 無為) is used to translate the Sanskrit asamkṛta which means “the absolute” in Buddhist epistemology and ontology and has nothing to do with the term no-action in that poem. In the collection of the sūtras on Six Paramitās, there is a definition of no-action which has some social and ethical bearing, which reads as follows: “Careful but not haughty is the character of a learned man, to give away the ideas of dirty love and not to be contaminated with the dust of six sentiments, not to let those dirty loves even small as a strand of hair to be camouflaged in our hearts, then every thought will become extinct, that is no-action”. But then, this definition is not fit quite well in the context of the above poem. We have to look another place for the meaning of no-action. In the Chinese literature, this term appears quite frequently, especially in the works of Lao Tzu (老子) and Confucius. In the Book of the Way, Lao Tzu is believed to have said: “The sages manage affairs with no-action, carry out teaching without speech… Act by no-action, then, nothing is not in order”.But, what the term no-action means, Lao Tzu does not state clearly. Therefore, it is very difficult to specify the content of that concept, and there are different explanations of it in the history of Chinese thought. On the contrary, in the Book of Sayings, Confucius is said to have the following statement: “Governance with no-action, only Emperor Shun did it. How could that be done? It needs only to be serious about himself and facing southwards” (子曰無為而治者其舜也歟夫何為哉恭己正南面而已矣 Tử viết: Vô vi nhi trị giả, kỳ Thuấn giả dư? Phù hà vi tai? Cung kỷ chính nam diện nhi dĩ hĩ). Although the concept of no-action here is used to define the governance and is said to be the way of the governance of Emperor Shun, but the content is not clearly specified, except the property of being serious about himself (恭己). Such a specification evidently is not sufficient to define the way of governance of Emperor Shun. Fortunately, there are two other places where Conficius is reported to describe Emperor Shun’s way of governance. The first place is a statement in the section 31 entitled The Middle (中庸) of the Book of Rites (禮記): “Is Emperor Shun a great wise man? Emperor Shun likes to inquire and discuss in order to speak, hide people’s bad sides and show their goodness, maintain two extremes, but use the Middle for the good of people. Is it because of this that he became Emperor Shun?” (子曰舜其大智者歟? 舜好問而好察以言,隠惡而揚善執其兩端,用其中於民,其斯以為舜乎). The other place is also in the Book of the Middle: “Is Emperor Shun a man of great filial piety? He is morally good to be a saint, aristocratic to be a Son of the Heaven, wealthy spreading to four seas, honored in the Palace, and having children to continue on. Therefore, if the virtue is great, he will get the place, will have the enumeration, will enjoy the fame and will have longevity. So, the Heaven gives birth to all things and treats them depending upon their case. In consequence, if they are good, Heaven will strengthen them and if they are not, It will throw away… That is why man of great virtue will receive the mandate from Heaven”. (子曰舜其大孝者 與德為聖人 尊為天子富有四海之內宗廟饗之子孫保之故大德必得其名必得其壽故天之生物必因其材而篤焉故栽者培之傾者覆之詩曰嘉樂君子憲憲栽令德宜民宜人受祿于天保佑命之自天申之故大德者受命). Through these two statements by Confucius about Emperor Shun and how he got the mandate from Heaven to be leader during his lifetime, we know now that his way of governance by no-action requires that the leader should have two necessary qualities in carrying out his mission of leading the people, that is, the wisdom and the virtue. Shun possesses these two qualities, so he becomes the Emperor of China at his time. 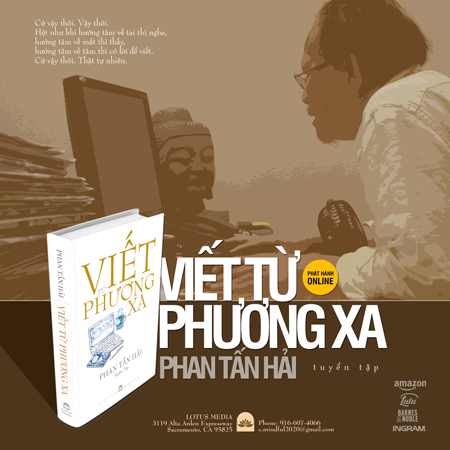 From this, we presently could understand what the term no-action in the above poem by Pháp Thuận means. It means that if the Vietnamese of his time have a leader who possesses the wisdom and virtue, then the country will have a peaceful life. Therefore thus, as a whole, Pháp Thuận’s poem clearly states his Buddhist view on good governance and development in the vietnam of 10thcentury. At the junction of history, when Vietnam is facing an imminent war from the rising Sung Dynasty of China, the question of the national existence comes into forefront. So, the answer to that question is that in order to keep peace, the Vietnamese should be in great solidarity, just like a bunch of intertwined rattan, and in order to stop the war, they should have a leader who possesses wisdom and virtue. So, quite early in the history of Buddhism in Vietnam, the Vietnamese Buddhists, through the case of Zen Master Pháp Thuận, have known how to exploit the Buddhist theory of good governance and development to apply to the Vietnamese political and social reality. Nearly one century after Pháp Thuận passing away, Zen Master Viên Thông (1080-1151) was born and he became our second case study of Buddhist theory of good governance and development in Vietnam. He grew up in a peaceful Vietnam and the country already became a Great Viet (大越). The leadership of the nation started to show signs of separating from the people and the mass began to ask for their rights. In this circumstance, Viên Thông, as a royal adviser, has proposed a new theory of good governance and development. Again, in this theory, the question of how to keep peace and stop the war is dealt with, but there already appears a shift in the emphasis from war to peace. I n a conversation with Emperor Lý Thần Tông in the year 1130 A.D., which Thiền uyển tập anh recorded, in response to Lý Thần Tông’s question about the principles of political order and upheaval, of prosperity and decline in the world, Viên Thông said: “The people is like an instrument. Put them in a safe place, they are safe; put them in a perilous place, they are peril. It all depends on how the leader of the people behaves himself. If his benevolence is in harmony with the hearts and minds of the people, then they will love him as a parent and look up to him like the sun and the moon. This is putting people in a safe place.” (天下猶器也 置諸安則安置諸危則危願在人主所行何如耳好生之德合于民心故民愛之如父母仰之如日月是置天下得之安者也). Here, Viên Thông expounds a new theory of good governance and development by emphasizing upon what we with our modern science of business management call the question of personnel, the question of employing appropriate men for appropriate works. The leader is now not reserved only for the king or the Emperor, or the head od a state but also for the officials in the governing bureaucracy of a country. In other words, if the working of a state machinery runs smoothly with good officials, then, the country will be in great peace. Otherwise, it will fall into chaotic state. Thus, there is an expansion of the notion of leardership from one man to a group of people who are responsible for the working of a state machinery. 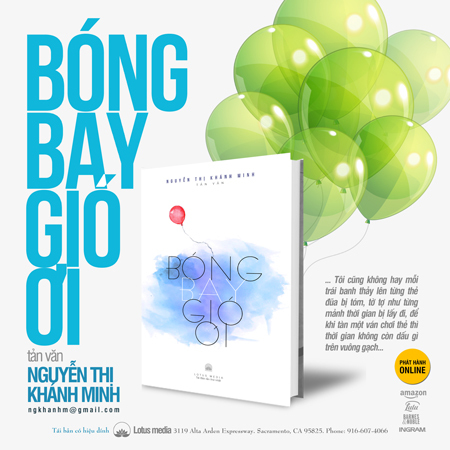 This is a new contribution of Viên Thông’s theory of good governance and development. Hundred years after Viên Thông’s death, Vietnam underwent many changes. Even with his advice, the leadership of the Lý dynasty could not reverse the course of history and the country fell into a chaotic state. Warring factions fought each other and finally appeared a new dynasty whose leader was a new young man under the name Trần Cảnh (1218-1278), later on, widely known under the title Trần Thái Tông. 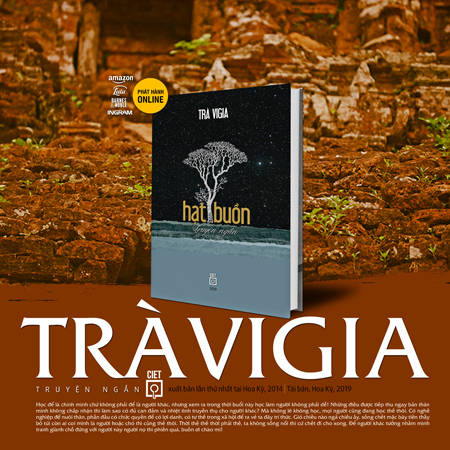 In the year 1236 A.D., due to the coercion by Trần Thủ Độ, the imperial head of government, to accept his brother’s wife, Trần Cảnh fled to Yên Tử mountain from the capital Thăng Long. 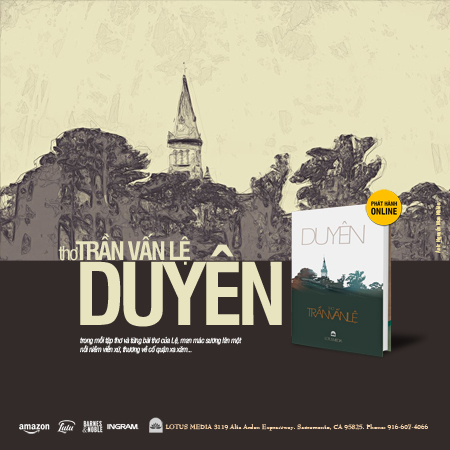 There, he met Zen Master Phù Vân and of course, Trần Thủ Độ got after him, asking him to be back to the capital. After many requests and not receiving the asquiescence from Trần Cảnh, Trần Thủ Độ decided to make the mountain into a new capital. Phù Vân intervened, saying to Trần Cảnh: “To be the leader of the people, one should take the wish of the people to be his wish, the heart of the people to be his heart, now, that the people wish to welcome Your Majesty back to the capital, then how can Your Majesty not come back?” (凡為人君者 以天下之欲為欲以天下之心為心今天下欲迎陛下歸之則陛下安得不歸哉). With this statement, Phù Vân again gives us a new look on the theory of good governance and development in Vietnam of 13th Century when the Vietnamese began to deal with the rising power of the Mongolian empire in the north under the leadership of Genghis Khan (1162-1227). Actually, this new theory for the first time discusses about the desire and the will of people in relation to the governance and development of the state in its clearest term and content. The governance and development of a state totally depends upon the desire and the will of people and reflects this desire and will. Thus, a new and most important element is introduced into the theory of state governance and developmnet, which Pháp Thuận’s and Viên Thông’s theories do not explicitly state or marginally deal with, that is, the desire and the will of people. The leader of the nation will act according to that desire and will. We can say this is a new contribution of the Vietnamese buddhist theory of state governance and development of the 13th century which still has a great bearing upon our time. this is because this theory emphasizes the role of the people in the running of a country and demands that any state policy should reflect faithfully their desire and will. This explains why the Vietnamese of the 13th century successfully defended their country against three military invasions of Genghis Khan’s successor, Kublai Khan (1215-1294) in the years 1258, 1285 and 1287. We hope, in the discussion of the three case studies of buddhists contribution to the theory of state governance and development in Vietnam, we will realize how from a general buddhist theory, three Vietnamese buddhists exploit and develop into new theories of state governance and development still applicable to Vietnam, with many concepts still open for discussion. These Buddhists were all active political learders and personally took part in the political advisers and leaders of the country. Therefore, what they were discussing was the policy they were trying to apply, so that the people’s welfare could benefit from their realizations. The people here are all those whom the modern science of human resource management would call: “stakeholders” with a small difference in that these stakeholders are not limited to the members of a corporation, but belonging to the whole society and their welfare should be taken care of, or managed, by good leadership. Lê Mạnh Thát, Nghiên cứu về Mâu Tử, Nhà xuất bản Tổng hợp Tp. Hồ Chí Minh, 2006, p.414. Lê Mạnh Thát, Nghiên cứu về Thiền uyển tập anh, Nhà xuất bản Phương Đông, 2005, p.289&823. Cf. Cuong Tu Nguyen, Zen in Medieval Vietnam, Honolulu: University of Hawaii Press, 1997, p.171; Nguyễn Duy, Kevin Bowen, Nguyễn Bá Chung, Zen Poems from Early Vietnam, Saigon Cultural Publishing House, 2005, p.17. Lê Mạnh Thát, Khương Tăng Hội toàn tập 1, Saigon: Vạn Hạnh University Press, 1975, p.516. Lun yu 15. 2a5-6, Ssu pu pi yao. Lê Mạnh Thát, Nghiên cứu về Thiền uyển tập anh, Nhà xuất bản Phương Đông, 2005, pp. 329-330. Cf. Cuong Tu Nguyen, Zen in Medieval Vietnam, Honolulu: University of Hawaii Press, 1997, p. 201. Lê Mạnh Thát, Nghiên cứu về Thiền uyển tập anh, Nhà xuất bản Phương Đông, 2005, p.330. Cf. Cuong Tu Nguyen, Zen in Medieval Vietnam, Honolulu: University of Hawaii Press, 1997, p. 201. Lê Mạnh Thát, Toàn tập Trần Thái Tông, Nhà xuất bản Tổng hợp Tp. Hồ chí Minh, 2004, p.376&588.